The Big Sea: Activate the Peace, Joy, Happiness that is Within! Activate the Peace, Joy, Happiness that is Within! Saturday, I went and did a ride with the Oxen Hill Biking Club. Rides are generally divided into categories: AA is the fastest group, A is the next fastest group and so on... I think that the groupings may go to D. There was a ride for everybody! 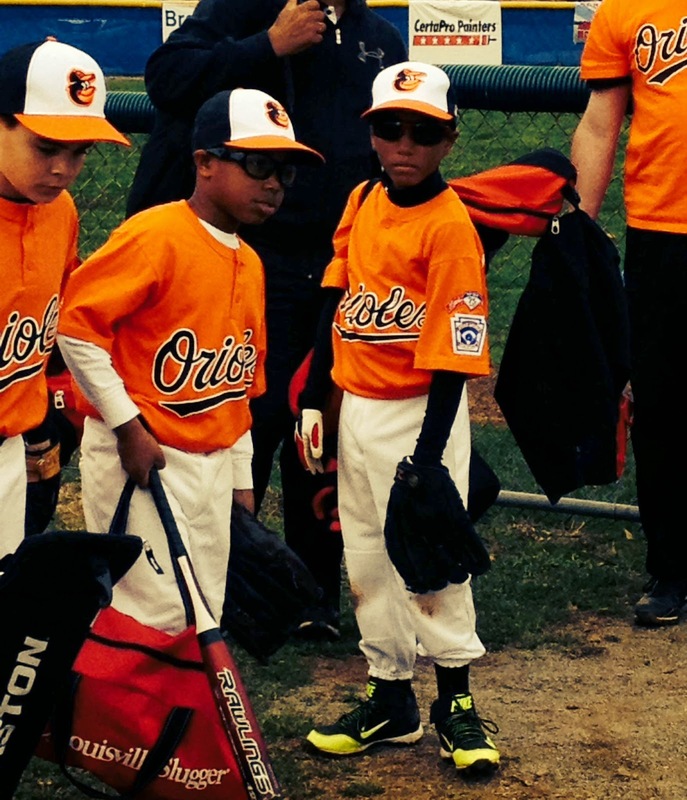 Coolest little leaguers I've ever seen? 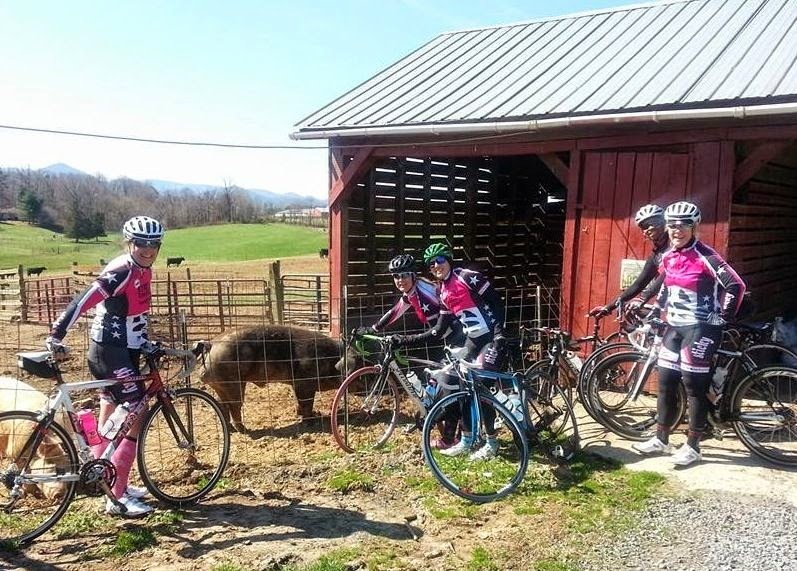 Saturday, I traveled to hilly Luray, Virginia with one of my teammates to ride the course for a race that is coming up on the 25th of April. 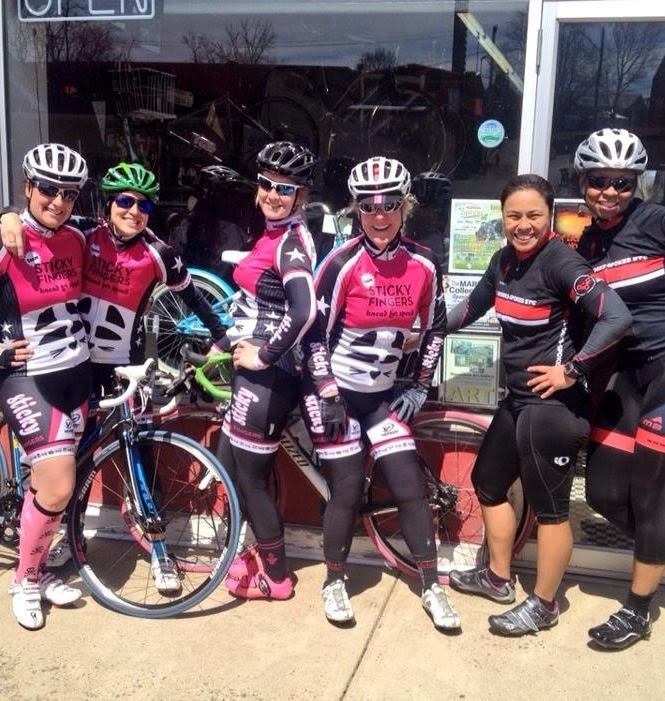 We met up with this women's racing group called Sticky Fingers, and boy did I enjoy riding with these ladies. We rode hard, talked, laughed, and broke bread together. Taking a break from the ride to enjoy the pigs! My happiness, joy, peace levels went to the roof this weekend!!! I am writing this to encourage all of my readers to do things that you really love to do as much as you possibly can. Your entire life will improve more than you ever thought possible, and you will stop looking to people and things to make you happy. You already have peace, happiness, joy; you just need to be activate it. I never knew that I would love biking, but I had the desire to bike. So, I bought a cheap bike, feel in love, and the rest is history. I was scared to ride with groups, but I just worked through the fear and did it, and I am so happy that I did. Now, some of you may love to do things that do not add positively to you life, and I am not sure that you should stop doing those things; that's really up to you. But, I know that if you do things that add to your life, you will reap some positive benefits for sure. Activate the Peace, Joy, Happiness that is already within! !